Many of my fellow shadow panellists have taken this approach in their reviews of Alice, and about half-way through the collection I could see why. By the middle of the third story, it all seemed a little familiar: another bedside, another man about to shuffle off this mortal coil, another final visit for Alice to make… As I moved onto the fourth of the stories, one dealing with the death of an uncle (before Alice had even been born), I was mentally resigning myself to writing a politely-negative review. Not if the opinions of my fellow panellists have anything to do with it! While most of the books on the longlist have had both their supporters and detractors, Alice has probably been the one book that the crew has universally found dull. We were all dumbstruck that Scenes from Village Life didn’t make the cut and disappointed that Next World Novella is no longer in the running. 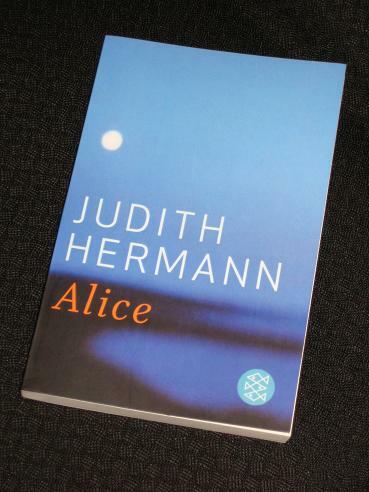 I was very pleased that Please Look After Mother didn’t get through, but I have a strong feeling that Alice is the token female, German, short story entry, knocking off three categories in one short book. It will not win. Another one polished off, only four more to go. Next time, we’re staying in Europe, and it’s going to be huge. I mean *huge*. No, I mean ***HUGE***! It's very smartly written, I'll give it that. But that's about all I'll give it. Yes, I have The Brick in my library tote too…. this is a curiosity it would appear none of those in our group like let alone love it & yet for whatever reason the official crew, seem to think enough of it to at least let it through to the next round. Strange! Ps, will add this to my official list.